Most people don’t use their bathroom scales for much other than figuring out exactly how many pounds they’ve packed on over the holidays. But every once in a while, we all need to weigh something else: maybe a growing puppy or a hefty suitcase. Using a regular bathroom scale is not only awkward in those situations; it’s often impossible. 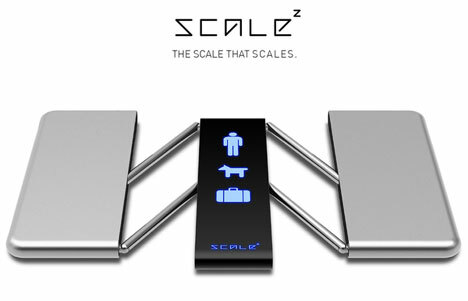 The Scale Scale is a concept from designer Rene Lee that puts an interesting spin on the traditional bathroom scale. 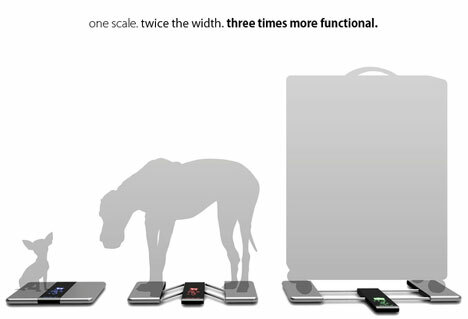 It can change size as needed, going from the perfect proportions for a person to the best dimensions for a dog to large enough for your luggage. 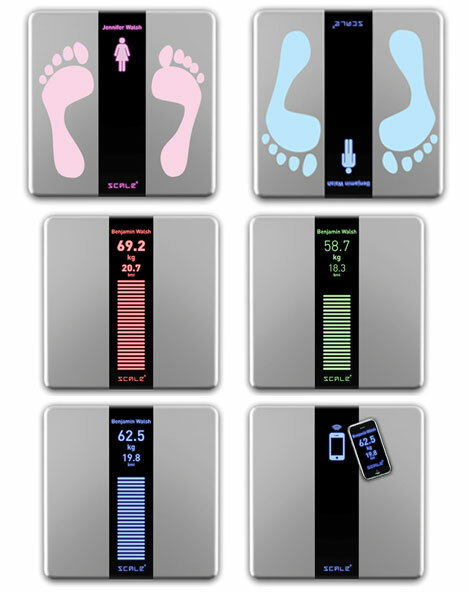 A capacitive biometric sensor in the scale uses footprints to identify the human user stepping onto the scale. It brings up the user’s profile and stored information so that it can display any gain or loss in weight. The sensor also detects which direction the user is facing and adjusts the display orientation accordingly. Then it can send your weight and BMI measurements right to your mobile device so you can keep track of any trends. 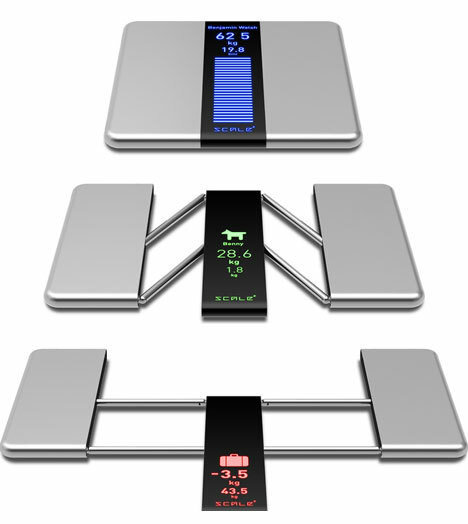 But for when you need to weigh something larger or more awkwardly-shaped than a human body, the scale expands to more than double its original footprint. The designer recommends using it for pets and luggage, but we’re sure you’d be able to find plenty more things around the house to weigh with this awesome gadget.